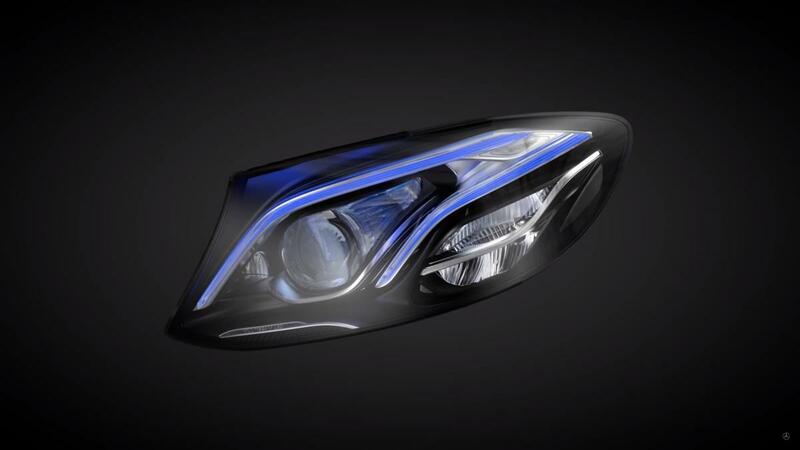 In the new Mercedes-Benz E-Class the optional high-resolution MULTIBEAM LED headlamps, each with 84 individually controlled high-performance LEDs, automatically illuminate the road with a hitherto unsurpassed, precision-controlled distribution of exceptionally bright light – without dazzling other road users. That’s because this grid allows the light distribution of the left and right headlamps to be controlled separately and adapted to the changing situation on the road quickly and dynamically. All functions of the Intelligent Light System in low-beam and high-beam mode can furthermore be depicted purely digitally and without mechanical actuators for the first time, including, as a world first, a purely electronically implemented active light function.